Predicting the weather based on joint pain? I have heard many anecdotes where people experience pain due to certain weather patterns like rain. People even report that they can even tell when a storm is coming. My grandma always tells me that she can feel it in her bones. This relationship dates all the way back to the Roman age.I question if there is actually any science behind this relationship or if it is all just anecdotes that people tell. 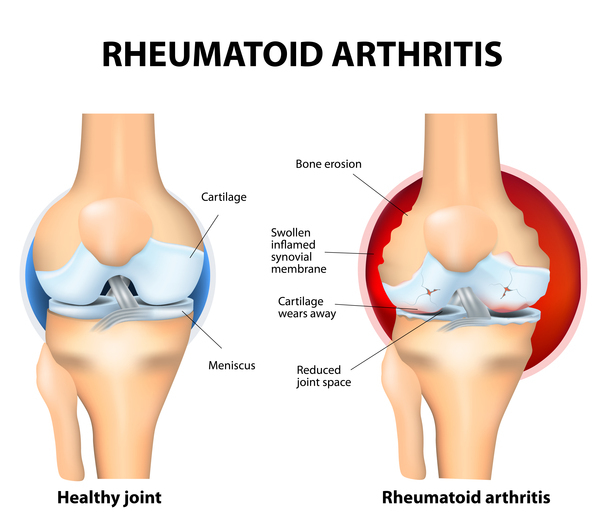 Many of the studies done look at the effect that weather changes have on rheumatic patients. These people have a disease called rheumatoid arthrisits. 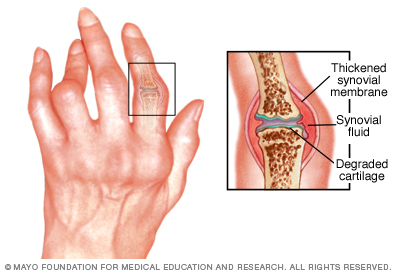 Rheumatoid Arthritis affects more than 2 million people around the world. The disease consist of the body’s immune system attacking its own tissues and affects areas like the joints. This causes an immense amount of pain and causes swelling to occur. The swelling and pain usually spreads to smaller joints like fingers and toes. As the disease gets worse it spreads to the knees and ankles. Being a female of older age increases the risk of of rheumatoid arthritis. I found two different studies done testing this hypothesis. Hypothesis being tested: Does changes in weather cause joint pain? Based on the two studies that i looked at the weather changes that might have an effect on patients consist of changes in barometric pressure, humidity, and temperature. In the first study done by Daniela Guedj and Abraham Weinberger they studied 62 rheumatic patients. These patients completed questionaries for four weeks straight. They found that there was a positive relationship between barometric pressure and pain. That means that if barometric pressure goes up so does the pain. They also found that women were more sensitive to the changes than men. Overall this study is a relatively small study that was not done experimentally. This study used a descriptive research method of surveying. There can not be a definitive casual relationship present and the relationship can be due to outside third variables. It is hard to truly test this hypothesis objectively because many of the results depend on the reports of the patients. In another study with 134 patients they were also given a questionnaire. This questionnaire was also completed for 31 consecutive days. This study considered temperature, humidity and barometric pressure. But this study found that an increase in pressure decreased joint pain. So although there was a relationship found between the two variables. These two variables have an inverse relationship. This contradicts with the previous study. This study was also larger than the other study so there may be more truth to this study but nothing can be said with 100% truth. I am still unsure about the conclusion given the data. There are many contradicting results based off other studies. Both studies sought out to reevaluate the relationship. But the results found were also contradictory. There is very little information published on this subject. In conclusion I feel like larger studies that are done experimentally can really determine if there is a direct casual relationship between the two variables. In both studies they do review results found from other studies. This can be considered peer review and that is important to improve the research found in this area. This entry was posted in Uncategorized on November 29, 2016 by Melissa Lee.